Release Date: November 13, 2007 – U.S. 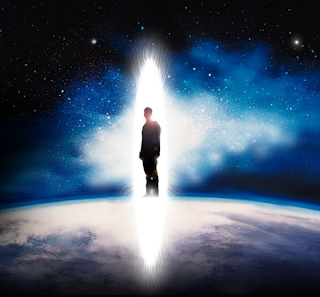 I felt sucker-punched after watching Jerome Bixby's "The Man from Earth." It was recommended to me by someone on the internet who calls himself "Dirk." That should have been my first warning. The premise: Several college professors get together to say goodbye to one of their colleagues, John Oldman (David Lee Smith), who is moving on from his current position. The rest of the movie – which takes place mostly in one room – is about the conversation they have. Don't expect breathtaking audio or visuals; this type of film lives or dies on its dialogue. How about this for starters: Oldman reveals that he is 14 thousand years old, was originally a caveman, and doesn't age. Interested yet? It gets better (or worse, depending on your perspective). The professor has much more to share – and he does. After all, he's seen and experienced the world several lifetimes over. There are no major stars in "The Man from Earth" but it is populated by veteran actors you may recognize – including Tony Todd ("Candyman"), William Katt ("The Greatest American Hero"), and Richard Riehle ("Grounded for Life"). This film would not work without their reactions and responses to the story being told. And what a story it is! What else can I say? Spoiling a movie like this would be a sin. Watching it sometimes feels like one. It is guaranteed to polarize. It may possibly incite a violently negative reaction in you. But it will make you think and you won't soon forget it.